In any season, in Kamloops, Merritt, or anywhere else, sometimes it's hard to get to the gym or just get outside! 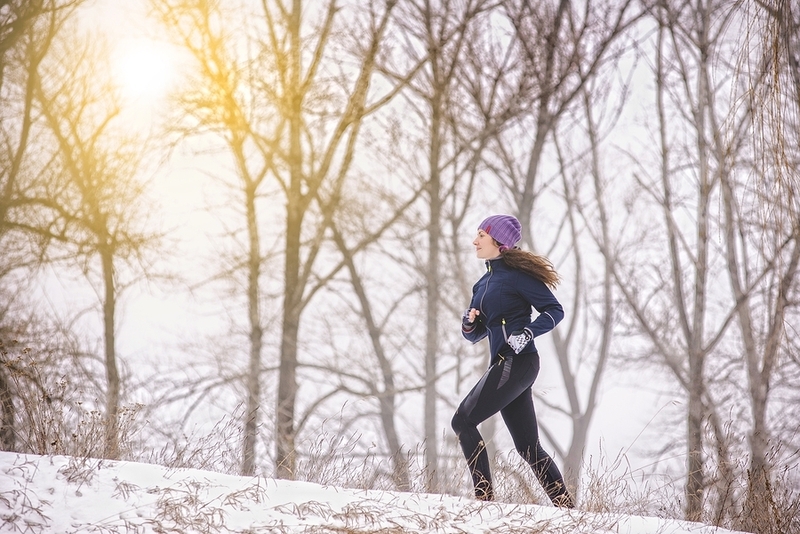 Last month in our "Challenges of Exercising in Winter" article Planet Woman Fitness explored a few reasons why it's particularly difficult to get out in winter. This month we're going to share a few solutions to those challenges to help you get and stay motivated to work out during the cold and dark months. Here are those tips! Any activity that requires some discipline or motivation can benefit from a buddy – exercising is one of those activities! Having a buddy to help you out and make you accountable for your goals is a great way to make sure they get done. When you're pushing alone against your natural desire to watch TV instead of get out in the cold, it's easy to lose. Mother nature is tough! Find a friend to exercise with! Whether that's a family member, friend, neighbour, fellow gym-goer, or the cute guy down the street, having a buddy will give you less of an opportunity to have too many days off. In Kamloops and Merritt, winters are fairly mild – but it is still no fun heading out into the cold, dark evening for a jog! One great alternative would be to try going to a gym! If you have never been to a Planet Woman Ladies Fitness location, then you can take advantage of our Free Day Pass on our Gym Membership page. With facilities open 24 hours a day, 7 days a week, we're ready to help you start achieving your winter fitness goals. Come talk to us about a membership or about a Personal Trainer to help you out! -Stay home and follow an exercise video. -If you have stairs in your home, run them! Whether it's warm or cold outside, we should all know that cool muscles are more prone to injury than warm muscles. It is important to warm up before exercising, but in winter this part of your exercise routine can be the part that motivates you to get out. Rather than planning to warm up at the gym or while you're outside, try to warm up in your house before you leave! Do a few jumping jacks, run on the spot, or just do your a part of your whole warm-up routine! When you're done and have your blood pumping a bit you will not only be ready for exercising, You may also find it to be way easier to motivate yourself to get out the door. Although dressing the part doesn't burn any calories, going through the effort of getting dressed to exercise can boost your motivation to just get to it. Once you're dressed right there are no barriers in your way to starting your routine – except the front door. But if you've warmed up already, opening the door may not be a challenge anymore. Getting out on a cold, dark, possibly windy evening can be tough. Hopefully everything else we've shared so far can help you with that. Another option to try is to get out during the day and exercise in daylight. If you have a smal chunk of free time during the day then this is a great solution for the ciracdian rhythm challenge we've talked about before. Getting outside in the daytime has many benefits, plus you will probably be in a great mood when you get back home. Exercise is important for your health, but sticking to your routine in winter – especially if you exercise outdoors – can be tough. These tips can help you get motivated! If you would like more tips, contact us at our phone or email address or get in touch with one of our personal trainers. They can give you personalized advice to help with your needs.